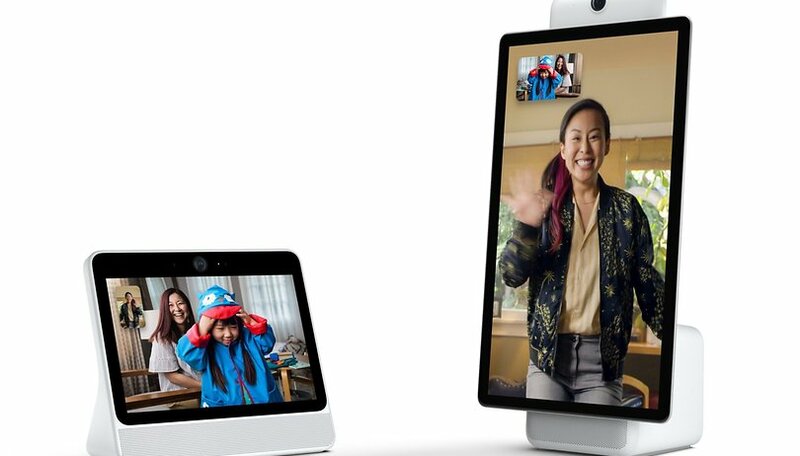 Facebook, seemingly undeterred by a spate of recent privacy scandals, is re-entering the hardware business with a new video calling device called Portal. Two versions of the video calling device have been announced, Portal and Portal Plus. The AI-powered camera follows users as they move to allow for video chat throughout the home. There’s also integrated Amazon Alexa support and the option to play music. The timing seems bold, to say the least. With Facebook’s recent privacy mishaps, are you ready to let the company see into your living room? Just last month, a major security breach put at least 50 million users at risk and endangered the accounts of numerous third-party apps. Facebook says that the new devices will feature a kill switch, which will electronically shut off the front-facing camera and microphone. In a statement that highlights that Facebook knows it has work to do to gain the trust of consumers, the company said that the kill switch physically cuts the circuit to this camera and mic, rather than just turning them off, in order to prevent hacking attempts. You could also cover them with duct tape, as Mark Zuckerberg does on his laptop! The Portal and Portal Plus marks a new foray into the hardware business in for Facebook. The Portal, which resembles Amazon’s Echo Show, features a 10-inch 720p display and a wide-angle 12-megapixel HD camera. The larger Portal Plus, comes with a 15-inch 1080p display. Both feature AI technology that can identify faces and automatically zoom in on them, regardless of where users move around in the room. Video calls are encrypted and Facebook was keen to explain that the AI technology runs natively on the devices, not on Facebook’s servers. When you are not video chatting, the display will scroll through your Facebook photos as well as photos you have been tagged in. Facebook is the last company I want to have cameras and mics in my home! Both Portal devices feature two loudspeakers and a subwoofer. There are apps for Pandora, Spotify, iHeartRadio and the Newsy news service. You have to presume more apps will be available later, but Facebook is not opening the platform to developers yet. That means no YouTube, and no web browser. The 10-inch Portal will cost $199 in the US, whilst the 15-inch Portal Plus will be available for $349. There is also a $100 discount if you buy two at the same time. Facebook says the hardware will be available in time for the holidays and will be sold through a stand-alone website. We expect a November release. The New York Times reported that sales of smart home speakers were up 187% this year, based on analysis from Canalys. Facebook is going up against some stiff competition with its first hardware devices, with Amazon and Google already dominating the US market for smart speakers and displays. Amazon’s Echo Show, announced last year, also features a display for video calling. Lenovo, in collaboration with Google, released a smart screen device with integrated Google Assistant this year. What do you think of Facebook hardware launch? Are you going to buy one? Let us know in the comments! Privacy on FckBck is a joke, even a fairly good joke. Facebook and trust are two thing that absolutely do not go together. I do not want any of the current home assistance spy devices in my house, why would I want Facebook's. The last company on earth I would trust with my privacy. Buying privacy from FB? A bit like signing a non-disclosure agreement with Stormy Daniels.